“Drivers that want to have their claims solved in a fast manner should avoid making mistakes like not taking photos after an accident or not gathering sufficient info about the crash circumstances”, said Russell Rabichev, Marketing Director of Internet Marketing Company. 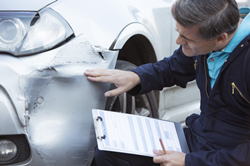 Carinsuranceplan.org has launched a new blog post that explains what mistakes drivers can make during the car insurance claim process. Admitting fault. Admitting guilt before the authorities finish the investigation is a huge mistake. Even worse is to admit guilt in front of the other driver and police officers. The authorities are the ones who decide which driver was at-fault. Admitting guilt will determine the other driver to file an insurance claim and will make it impossible for the policyholder’s insurer to make a defense against the claim.